Samsung will reportedly launch three Galaxy S10 models to compete against Apple, which is expected to release three iPhones in different screen sizes this September. This latest piece of information comes from trusted analyst Ming-Chi Kuo (via Business Insider). According to Kuo, Samsung will match Apple by launching three Galaxy S10 models in 5.8-inch, 6.1-inch and 6.4-inch screen sizes. Both of the larger size phones would come with an ultrasonic fingerprint scanner, which would be built into the phone’s display, the analyst notes. The inbuilt sensor would also come embedded in Galaxy Note 10. Samsung Mobile head DJ Koh reportedly confirmed that the ultrasonic fingerprint recognition technology is an expected feature in the Galaxy Note 10 and handsets in the Galaxy A series (to be launched in 2019) and that there would be three Galaxy S10 models. Another rumor suggests that Samsung’s upcoming phone would replace the iris scanner with the facial recognition technology for its camera. Talking about the camera, the Galaxy S10 lineup is expected to sport five cameras. 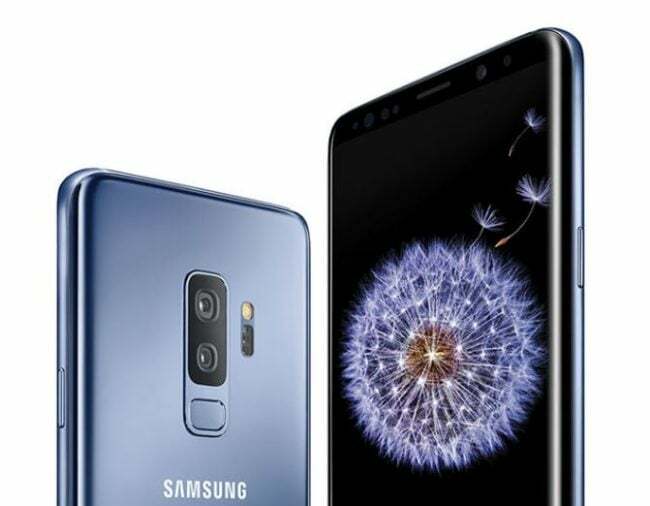 Recently, the Korean website, The Bell, revealed that the Galaxy S10 would come with four cameras, whereas the S10 Plus would sport five cameras. While a number of rear cameras would be the same in both of the models, the premium one would include two front-facing cameras. If Samsung is indeed planning to come up with that kind of camera arrangement, such a move would cement its position at the forefront of smartphone camera innovation. In recent years, Chinese brands like Huawei and Google Pixel have taken the lead when it comes to camera quality. In addition, the company might be planning to make the upcoming smartphones completely bezel-less. There is no word whether Samsung would release the smartphones with or without the notch. Despite the increasing trend amongst the companies to release the phones with a notch, Samsung has stayed away from the league so far. Apart from the three screen variations and other rumored features, the Galaxy S10 is also expected to come with a new ultra-powerful chip built by Samsung. Earlier this week, the company announced that it developed an 8GB chip for its mobile device, enabling 5G connectivity and artificial intelligence powered applications. “This development of 8Gb LPDDR5 represents a major step forward for low-power mobile memory solutions,” said Jinman Han, a senior vice president at Samsung Electronics. Further, Han stated that the company is looking to expand their next generation 10nm-class DRAM lineup to accelerate the move toward the use of premium memory across the global landscape. According to Samsung, the new chip can transfer 51GB of data per second (or about 14 full HD video files). It must be noted that the S9 has 4GB of RAM, whereas the iPhone X features 3GB RAM. For now, OnePlus 6 is the only mass produced smartphone that comes with 8GB RAM. Not just the speed, but Samsung claims that the new RAM would also ensure less battery usage, and saving up to 30% on the current best offering. Since the number of memory “banks” would increase twofold from eight to 16, higher speed can be attained by lowering the power consumption. The RAM is even capable of reducing the power usage to suit the operating speed needed for a particular application. Additionally, there is a “deep sleep mode” that reduces the power usage to almost half in the idle mode compared to the current LPDDR4X DRAM. Further, similar to what Apple is expected to do with this year’s iPhones, Samsung may also cut down some features from the lower-end Galaxy S10 next year. Features expected to be excluded are a fingerprint sensor, facial recognition and a less competitive camera system to ensure that the low price is maintained. The only concern would be if Samsung would risk diluting the Galaxy S10 brand by coming up with a cheaper version which would not have key features. Kuo believes that Samsung would ship around 40 million Galaxy S10 units, with two higher variants contributing the most. The analyst further notes that the Galaxy Note 10 might ship 14-16 million units next year after its launch. Currently, the focus is on the Galaxy Note 9, which is expected to be launched in New York on August 9. According to the Korean company, the S Pen on the Galaxy Note 9 would come with significant improvements, such as capabilities for gaming.